The Smithsonian Institution Traveling Exhibition Service (SITES) has some exciting exhibitions for 2019 and beyond. Check out what’s available and bring a Smithsonian exhibition to your neighborhood soon. Featuring 100 portraits of Americans from every state, the District of Columbia and Puerto Rico, the subjects represent a cross section of those who have served in Iraq or Afghanistan, and reflect a variety of military branches, job descriptions, and personal backgrounds. Each oil painting is coupled with a personal statement from the participant to create a fuller portrait. Tour through fall 2020. The exhibition offers a rare glimpse into the iconic jazz musician’s public and private life just two years before her death at the age of 44. Includes 65 pigment prints with labels, panels, objects, ephemera, projected video, and vinyl excerpts from the work of renowned writer/author, Zadie Smith. Tour launches 2019. Special discounts for February 16, 2019 to May 12, 2019 ($10,000) and for September 29, 2019 to January 5, 2020 ($15,000), all plus shipping. For more information, contact Michelle Torres-Carmona, torrescm@si.edu, 202.633.3181. 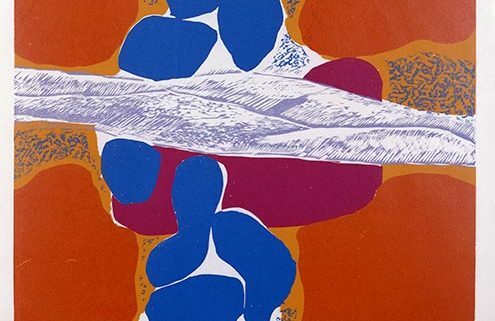 Explore the work of the Robert Blackburn, the first Master Printer for the Universal Limited Art Editions, and founder of his own highly influential Printmaking Workshop. Viewers will trace his artistic journey leading up to and during the “graphics boom” in American printmaking and his later experimental works. Seventy original prints by Blackburn and his contemporaries are included from significant public and private collections. Tour launches May 2020. For more information, contact Minnie Russell, russellm@si.edu, 202-633-3160. We are pleased to expand the offering of The Way We Worked, a highly successful exhibition from our Museum on Main Street program, to qualified venues. The Way We Worked explores how work became such a central element in American culture by tracing the many changes that affected the workforce and work environments over the past 150 years. The exhibition draws from the National Archives’ rich photography collections to tell this compelling story. Tour launches summer 2019. Our friends at SITES have some exciting new traveling exhibitions to share with you, and some last-minute booking opportunities for those looking for a great exhibition to fit in to your schedule. An exploration into the meaning of service, the exhibition features 100 portraits of veterans from every state and the District of Columbia who served in Iraq and Afghanistan. 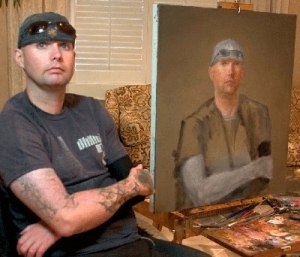 Accompanied by a personal, unedited statement from each sitter, the portraits are an homage to these individuals who collectively represent a cross section of those who have served. This exhibition provides a rare glimpse into the music icon’s public and private life just two years before her untimely death at the age of 44. Includes 65 framed pigment prints, panels, ephemera, and vinyl excerpts from the work of author Zadie Smith. 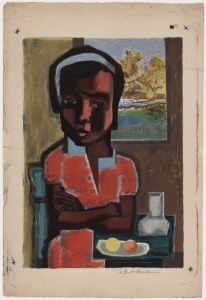 Robert Blackburn (1920-2003) was a key artist in the development of printmaking in the twentieth century. His masterful expertise with the medium helped define the overall aesthetic of the American “graphics boom.” This exhibition examines Blackburn’s life and work, and features original prints by Blackburn and the artists with whom he collaborated, including Robert Rauschenberg, Romare Bearden, Jacob Lawrence, Grace Hartigan, and Will Barnet. Men of Change will present for new generations the stories of approximately 25 African American heroes—both the known and unknown– who stand as icons on the nation’s historical landscape. Features large-scale photographs, collage, video, freestanding 3-D art reproductions and more. Featuring large-scale, high-resolution photographs of the lunar surface taken since 2009 by the Lunar Reconnaissance Orbiter Camera (LROC). 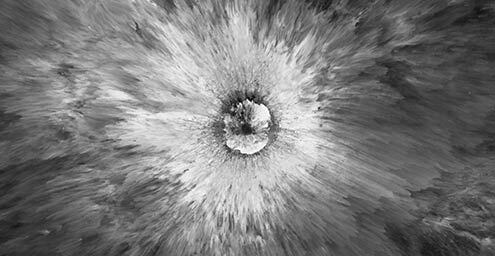 These striking images help answer our questions about the Moon’s formation, its continuing geological evolution, and its relationship to Earth and the solar system. 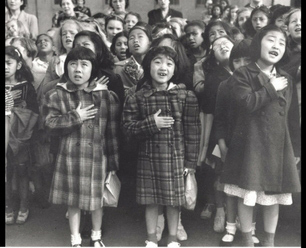 After the attack on Pearl Harbor in 1941, the nation was overcome by shock, anger, and fear—a fear exaggerated by long-standing prejudice against Asians. In response, President Franklin Roosevelt signed Executive Order 9066, which sent 75,000 Americans of Japanese ancestry and 45,000 Japanese nationals to incarceration centers. This is the powerful story of the incarceration and the people who survived it. Last Minute Booking Opportunities at a discounted rate! A Very Young Crater. Courtesy NASA/GSFC/Arizona State University. In Affiliations, we like to say that our partnerships are two-way streets. We learn as much from our Affiliates as we share. Our Affiliate partners lend ideas, energy and expertise not only to the Smithsonian, but to each other. 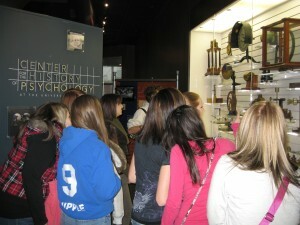 They also lend artifacts, and often, the very best, rare ones they have in their collections. Recently, I took an afternoon out of the office to visit the handful of loans currently on view from our Affiliate partners to the Smithsonian. What better pleasure to run in to our Affiliate friends across the country than by discovering pieces from their collections here in Washington?! My first stop on this walkabout was the National Museum of American History and its newly-opened innovation wing. 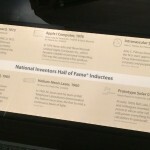 The Inventing in America exhibition features a case that honors inductees to the National Inventors Hall of Fame, our Affiliate in Canton, OH. 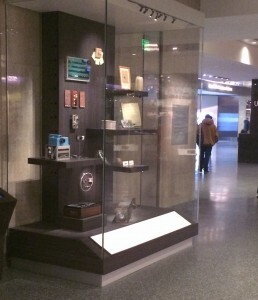 Visitors can marvel at a selection of inventions made by some of the 500 men and women who have been inducted into the Hall of Fame, and learn about inventions such as the first intravascular stent from 1984, 3M sticky notes, the first digital camera from 1975, and the 1976 Apple computer. Notably, the case explains the invention of Kevlar, the high strength fabric (used for example, in bullet-proof vests) invented by Stephanie Kwolek in 1965 while she worked at DuPont. Luckily, our Delaware Affiliate, the Hagley Museum and Library in Wilmington, has an extensive collection of material about Kevlar (including Kwolekâ€™s papers) and lent two artifacts from their collection to bring her story to life. I wandered over to the National Portrait Gallery to see its Dark Fields of the Republic: Alexander Gardner Photographs, 1859-1872 exhibition. At one time, Gardner worked for the famous photographer Matthew Brady before casting out as an influential documentarian in his own right. The profound Civil War-era images on view in these galleries are haunting still. Among them are important works from three Smithsonian Affiliates. 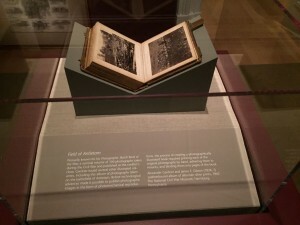 The National Civil War Museum in Harrisburg, PA lent a photographic book titled the Field of Antietam from 1962. Before photomechanical reproduction, books like this one were made by printing each of the original photographs by hand, adhering them to mounts, and binding them as a book. Knowing this process makes the book feel all that more special. Our Affiliate in Indianapolis, the Indiana Historical Society lent chilling images of the executions of the Lincoln assassination conspirators. Notably, Alexander Gardner was the only photographer allowed to document the hangings, and his position on the wall of the prison grants a panoramic view that is searing and unforgettable. Finally, the Western Reserve Historical Society, our Affiliate in Cleveland, OH also lent several works to the exhibition, including what feels like an incongruous view of a picnic in the woods. Alas, one discovers its main subject is Walt Whitman, who lived in Washington, D.C. for part of the war, writing letters for injured soldiers. Itâ€™s an unsettling yet bucolic image among the battlefields represented on the walls around it. 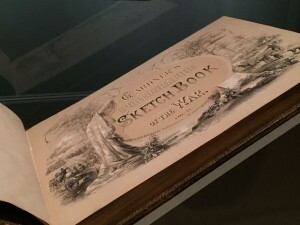 Another impressive loan is Gardnerâ€™s Photographic Sketchbook of the War in two volumes. This large-scale folio published in 1866 features 100 images from Gardnerâ€™s vast collection that successfully distill the chronological narrative of the war in a meaningful and emotional way. Finally, I ended my excursion at the Kay WalkingStick: An American Artist exhibition at the National Museum of the American Indian. This retrospective â€“ her first major one â€“ traces the artistic journey of WalkingStick, a citizen of the Cherokee Nation. Emerging from the art world of New York in the 1960-70s, the show traces her 40+ year career from early figurative work through her famous diptychs to recent paintings of monumental landscapes with symbolic references to their Native links. Three Affiliates are represented in this exhibition as well. One of our newest, The Rockwell Museum in Corning, NY lent a diptych, Letting Go/From Chaos to Calm from 1990. These rich paintings of mixed dry media on sculptmetal juxtapose the figurative and abstract, the visual and visceral in stimulating and thought-provoking ways. 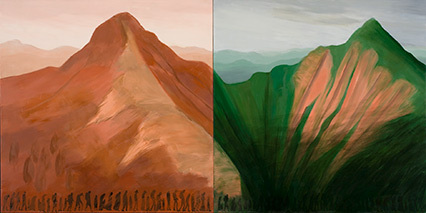 Finally, the Denver Art Museum lent a commanding diptych of a different style, Farewell to the Smokies from 2007. This oil painting on wood blends two views of a majestic mountain landscape, with silhouettes of figures walking across their base. Itâ€™s a powerful reminder of Native history, and at the same time, of the indelible legacy of Native peoples on the American landscape. Thank you Affiliates, for all the ways that you enrich the Smithsonian! 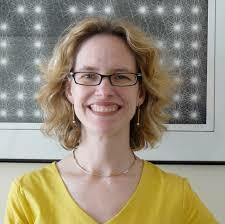 Many thanks to guest author Cathy Faye, PhD, assistant director at the Drs. Nicholas and Dorothy Cummings Center for the History of Psychology at the University of Akron for this post! Museums have the power to present us with unfamiliar and interesting places, spaces, things, ideas, and people. Sometimes, these things are new to us, things we havenâ€™t seen before. Sometimes, we are seeing a new interpretation of something that is otherwise familiar. In both cases, museums show us not only what is, but what is possible. When we learn something new about the world, the boundaries of our places and spaces expand, and we see ourselves fitting into them in new ways. In 2016, a new pop-up museum experience in Washington, DC will work with this idea of using the past, present, and future to expand our ideas of what has been and what is possible for women and girls of color in the field of psychology. I Am Psyched! is a collaboration between the American Psychological Association, The Cummings Center for the History of Psychology (a Smithsonian Affiliate), and Psychologyâ€™s Feminist Voices. Designed as part of the Smithsonian Institutionâ€™s Museum Day Live! initiative, I Am Psyched! focuses on illuminating the past, present, and future of women of color in the field of psychology. Historically, psychology has been dominated by white men. However, the period following World War II and the Civil Rights Movement, women of color entered the field in greater numbers, leaving inspirational stories and paving the way for a more diverse and inclusive psychology. I Am Psyched! explores these stories and celebrates the legacies of these women through a pop-up museum exhibit, a live-streamed conversation hour with groundbreaking women psychologists, and on-site and virtual learning activities. The pop-up exhibit, to be installed at the American Psychological Associationâ€™s Capitol View Conference Center in Washington, DC, will feature film, sound recordings, images, artifacts, and letters that tell the fascinating story of how women of color have and continue to contribute to psychology. For example, the exhibit will feature the story ofÂ Alberta Banner Turner, who received her doctoral degree in the 1930sâ€”the first black woman to earn a Ph.D. from Ohio State University. Throughout her career, Turner fought for racial equality and spoke out loudly against racial injustice. 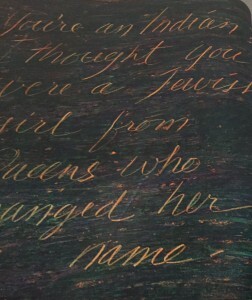 Turnerâ€™s story is just one of many that will be explored through interactive learning stations, where visitors can explore the history of women of color in psychology and participate in activities that encourage reflection on issues of race, gender, and ethnicity in the social and behavioral sciences. 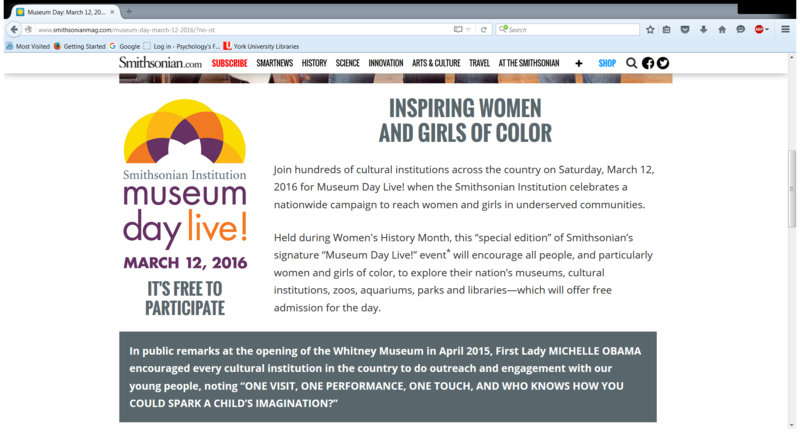 The pop-up museum will be launched on March 12, 2016 for the Smithsonianâ€™s Museum Day Live! event. On Museum Day, several prominent women psychologists will lead a conversation hour, which will be recorded and livestreamed. Recognizing that March 12, 2016 is also National Girl Scout Day, we will design activities for participating girl scouts to earn their own Museum Day-related merit badge by interacting with the exhibits in various ways. We are excited to be able to highlight the rich history and path-breaking contributions of women of color to psychology to inspire the next generation of psychologists. The signature blue, red and yellow suit worn by mild-mannered reporter Clark Kent wore as SupermanÂ is at the Ohio History Center, the headquarters of Ohio History Connection, a Smithsonian Affiliate in Columbus, Ohio, thanks to a loan from the Smithsonian’s National Museum of American History. The suit, worn by actor George Reeves in the 1950s televeision show, is part of 1950s: Building the American Dream, a new exhibit at the History Center. Read the O Say Can You See? blog about this loan. The Columbus Dispatch posted this video the day the suit was unveiled. They were on hand to see some local school children go bonkers over the suit. Check it out below. And read the entire Columbus Dispatch story here. Follow @SIAffiliates, @amhistorymuseum, and @OhioHistory on Twitter to follow the #superman weekend (October 10, 2015 the exhibition opens to the public).